Jordan Brand is looking to turn heads once again with their collection of lifestyle shoes like the new edition of the Jordan X Auto Clave, which is set for release this March. The Jordan X Auto Clave will be coming out in Black/White colorway this March and it is expected to get a lot of attention. This lifestyle shoe sports and black tumbled leather paired with accents of smooth leather on the ankle collar and lace eyelets of the shoe. Expect this to hit the market during the earlier part of the month and make sure to consider getting one! Jordan 10 Auto Clave to Debut! Air Jordan Retro V.1 Scheduled Again This March! 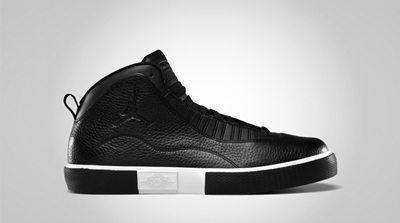 Air Jordan 2012 E Set for Release Today!